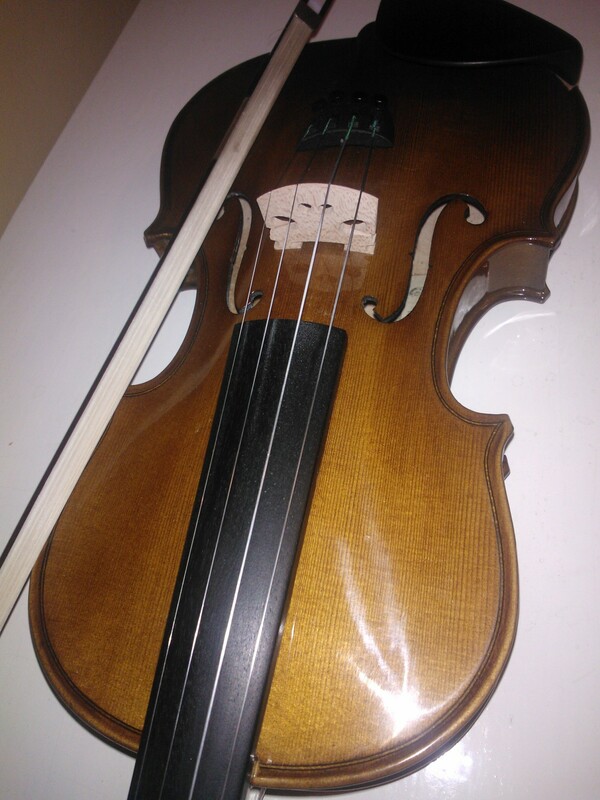 I am learning to play the violin. *Being really excited to play ‘Greensleeves’ because I was a geeky little thing and obsessed with the Tudors. *Having to play the song from the Hovis advert with the school orchestra and thinking what a terrible noise we all made when put together. It was not the most musically inspiring experience! *The two girls I had my lesson with telling me we should all go early to the ‘huts’ where our lessons were – and turning up to find the place completely empty, with no sign of the said two girls. There were ghost stories about those huts. They creaked a lot. I was there for an hour. Enough said. Back to now. 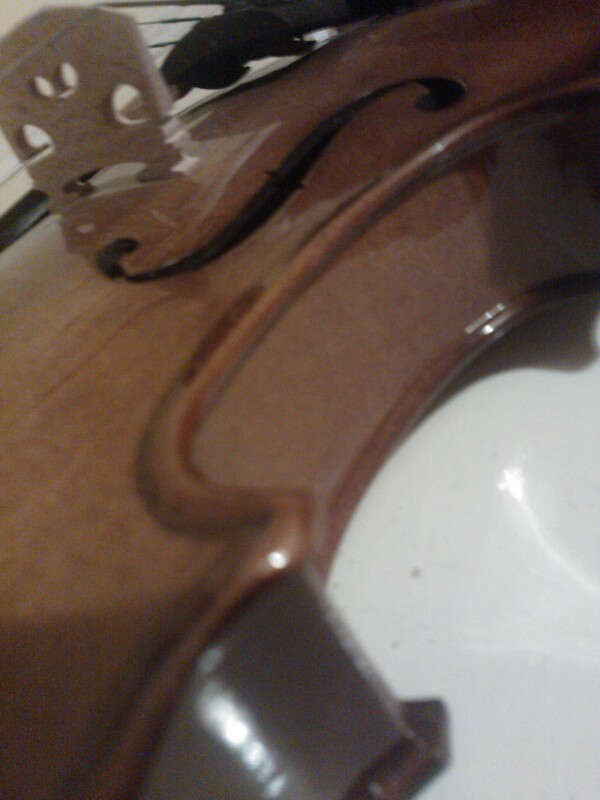 Learning the violin. It is different when you are an adult. It can be intimidating, knowing that there are likely to be several years of sounding a little awful and childlike before reaching the desired standard; it can be hard trying to fit practise and lessons around work and other responsibilities; and it can be frustrating having less mental energy to devote to learning and progressing. But there are benefits to coming back to it later in life – I now have the initiative to listen to a range of violin music via the Internet and radio, which is far more inspiring than the limited exposure the school orchestra gave me, as demonstrated above! Playing can also be a welcome escape from the pressures of work. I am struggling at the moment with some tricky pieces, with understanding music theory, and with managing to practise… Until the other day, I had not touched the instrument for three weeks, as a result of a cancelled lesson due to illness and a busy work schedule. I tried one of the songs I thought I was confident at, and it sounded… well – a little creaky, to say the least. Jamie started barking at me. I don’t think he enjoyed my rendition… I attempted a scale (chromatic?) and was a little unsure about which notes were meant to be flat/sharp and at which points I was meant to be changing position. I was not doing particularly well. 1. I have a really, really good teacher. She is only 23 and I suspect that she will go on to do very great things in the worlds of music and media. She quickly spots where I am going wrong, provides pieces that interest me and manages to expect far more of me than I expect of myself without piling on the pressure. She is also endlessly patient with my lack of consistency in both practise and performance. 2. I listened to this and was completely re-inspired. It can sound good after all! 3. It does make sense to do it now, while I am relatively responsibility-free. And when I have children, I want to be good enough that my playing does not put them off music forever (based on my current standard, a real possibility!) and perhaps even helps spark an interest. 4. It would be very lovely to be able to play along with Andrew’s guitar once in a while. We shall see – perhaps one day I will even be confident enough to youtube it up! In this country we are generally privileged enough to have all our basic needs covered – food, shelter, clothing etc – but I think as humans we also have a need for enjoyment, inspiration, and progress. My sister never ceases to amaze me with her talent for dancing. Some dancers grow up with it – starting very young and having many expensive lessons with the finest of teachers. She, however, came to dancing a little later than most, and moving around a few times meant that her lessons were a little inconsistent. However, since her mid teens she has managed to achieve such a great deal – including a distinction in her Diploma, which she completed in one year instead of two. I can’t wait to see where she takes her gift next! The thing about following an interest or passion, though, is that ultimately not all of us can be superstars. 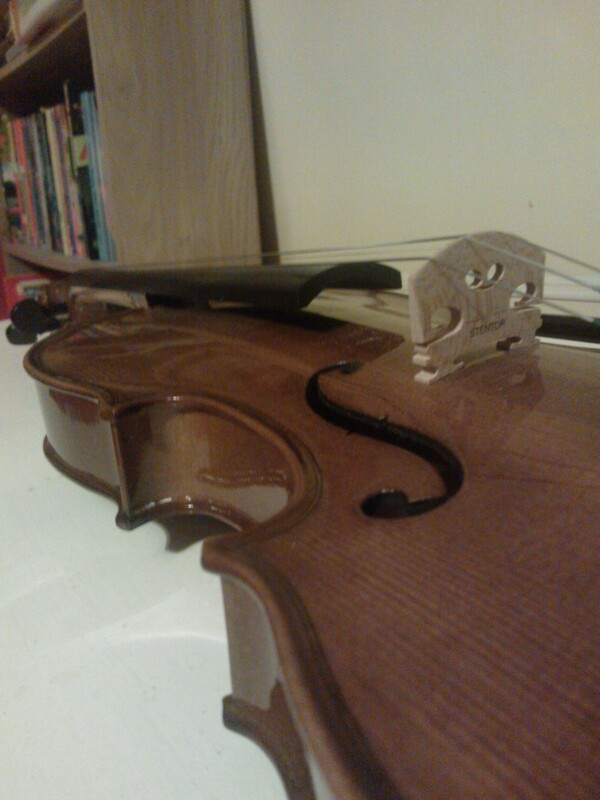 I may never be the great violinist I dream of being. But I will be better than I am now, and, through persevering in it, I will have grown in many important qualities and life skills: confidence, appreciation, resilience, patience… And that makes it worth the effort.